On Friday, October 26, Nurses and Administrators from the Ministry of Health, with support from the Pan American Health Organisation (PAHO), completed a two-day training on the electronic immunization registry; bringing the island closer to its implementation. A release from the Government Information Unit (GIU) stated that “the electronic immunization registry, once implemented, will enable the Ministry of Health to better manage and monitor vaccination data for children on Montserrat. 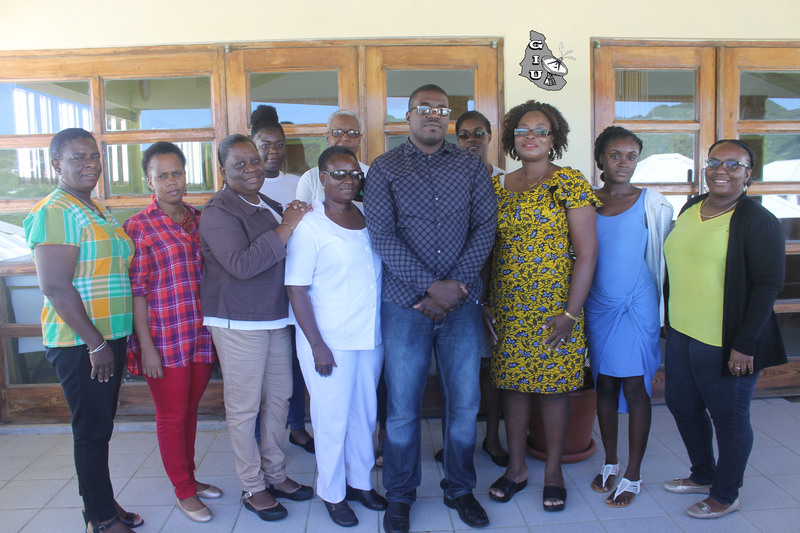 11 persons, including nurses and administrators, benefited from the training programme, which required them to begin the process of entering previously collected immunization information into the system. Following the training on Montserrat, the data entered into the registry will have to verified and the Ministry of Health will determine a ‘go live’ date for the system. Once launched Montserrat will become the fourth island in the region to implement the electronic immunization registry. Community Nursing Manager on Montserrat, Ms. Violet Brown said she expects the system to be fully implemented or ‘go live’ in January 2019. She noted that there are several benefits to be derived from the implementation of the system. These include, electronic access to immunization records across the local health centres; production of vaccination reports which are required locally and regionally by PAHO; tracking defaulters and receiving updates on when children are due for vaccines; back-data entry, and the system also makes it possible for nurses to request orders for vaccines from their respective clinics. The Ministry of Health received support from the Department of Information Technology and E-Government Services (DITES) with the establishment of the system. The registry has been implemented in St. Kitts, the Turks and Caicos Islands and Grenada.